Several years ago, there was a popular cookbook called Deceptively Delicious. Do you remember it? It was popular because it helped parents sneak vegetables into their kids’ food. You would make purees out of vegetables and then add the purees into other foods. Yes, it’s important for everybody to eat more vegetables. But making a puree and then sneaking it into another dish sounds like a lot of extra work (and dirty dishes). What’s a mom to do? Thankfully, there are several tricks to help increase veggie intake (husbands and kids included). You might even find yourself eating more vegetables too…which is never a bad thing! Pin this now, so you have these tips when you need them (click the picture to pin it). 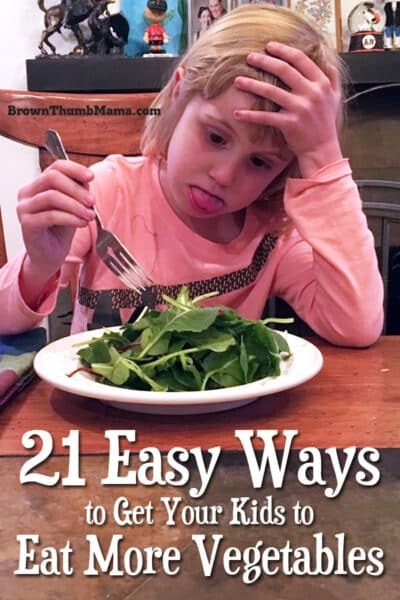 Here are 21 easy ways to get your family to eat more vegetables. 1. 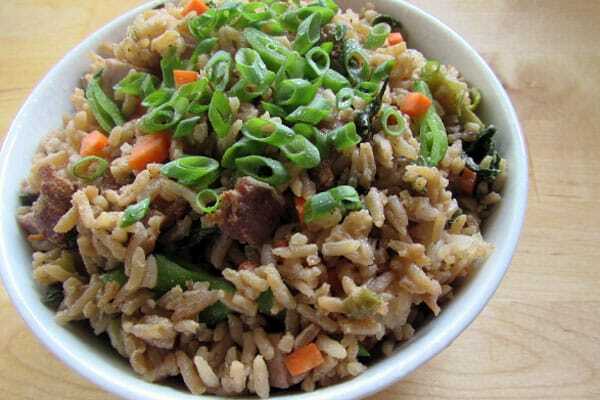 Chop or grate vegetables and add to Loaded Fried Rice. You want the veggies to be cut up so small that they can’t be picked out. Great choices include carrots, zucchini, peas, cabbage, and even finely chopped green beans. 2. Make veggies easy to eat and readily available. Keep cut-up jicama, celery, and carrots in the fridge. Set them out for an after-school snack, and for the family to munch on while preparing dinner. In this case, a little bit of hunger is your friend. 3. 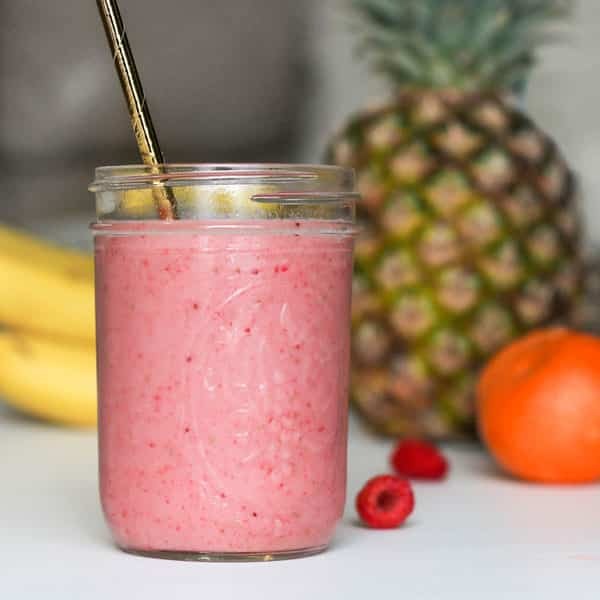 Add spinach, kale, or other greens to a smoothie for a whole lot of nutrition without affecting the smoothie’s flavor (blueberries are great for hiding the flavor of greens). Here’s an easy smoothie recipe and some recommended greens to add. 4. Pour your smoothie into popsicle mold or these cool Otter Pop-type molds to make healthy popsicles. 5. While you have the spinach and baby kale handy, add a handful to your salad. 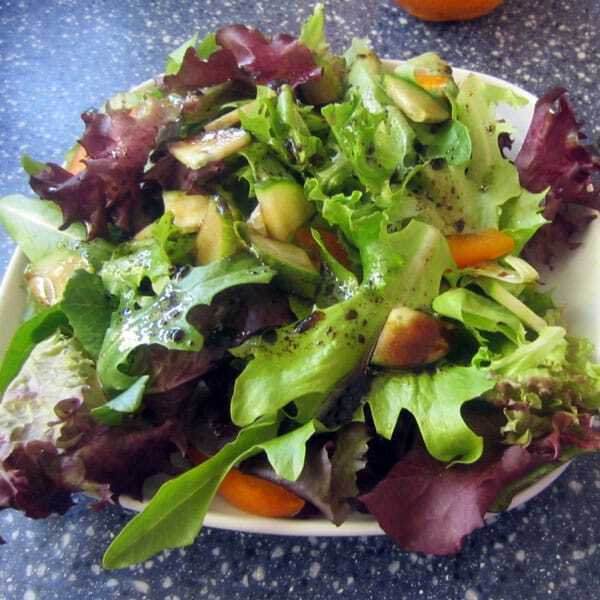 Over time, increase the amount of healthy greens and decrease the amount of lettuce. This trick is great for men who don’t eat enough vegetables (cough–ask me how I know). 6. Spaghetti sauce is a great place to hide extra vegetables. Grate up some carrots or zucchini, or finely chop spinach and add to your spaghetti sauce while it cooks. (Here’s a great recipe for homemade spaghetti sauce in your slow cooker). Use this supercharged spaghetti sauce on pasta, in lasagna, on pizza, or for dipping breadsticks. 7. Menus matter! 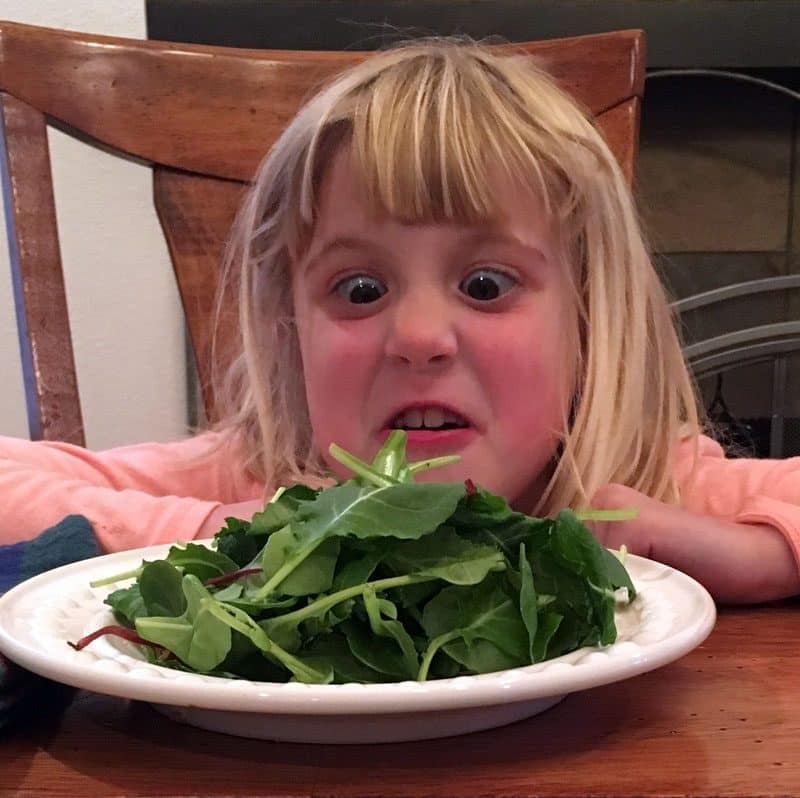 If you serve a vegetable kids hate with a main dish they love, they will eat the main dish and skip the veggies entirely. Try making a main dish that they’re ambivalent about and they’ll be much more likely to eat their vegetables. 8. Experiment with new or unusual vegetables. 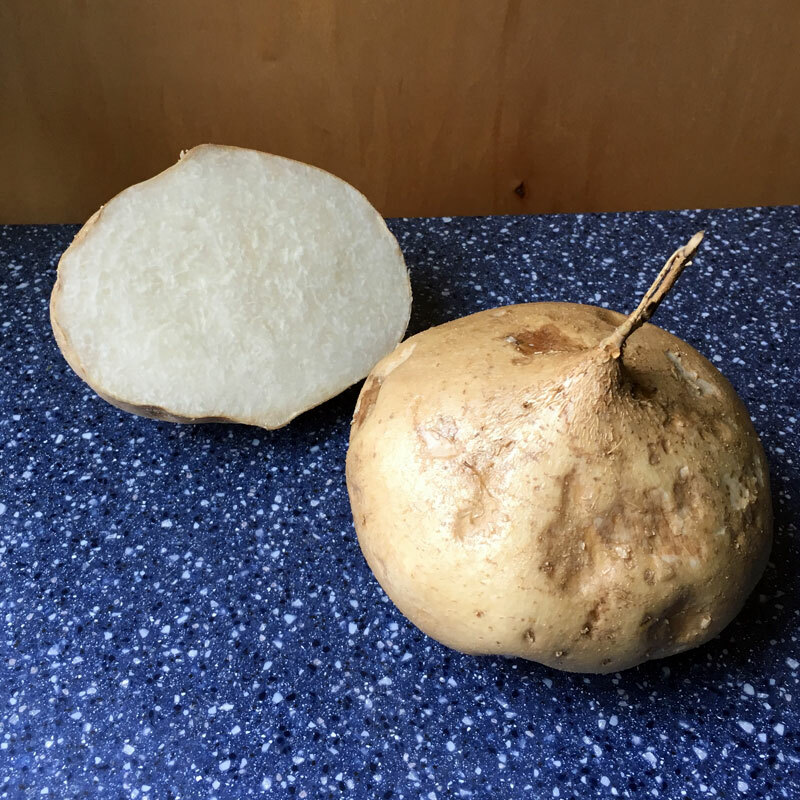 Grab a bag of edamame or a jicama (pictured) the next time you’re at the store. Splurge on the crinkle-cut carrots or try these flavored kale chips. 9. Add finely chopped spinach or Swiss chard to scrambled eggs. Tell Hubby that they are herbs for seasoning. 10. Add chopped spinach to homemade pizza dough to make Alien Pizza. This is super-popular with the kids (use the spaghetti sauce you made with the extra veggies too)! 11. Grow a garden together. 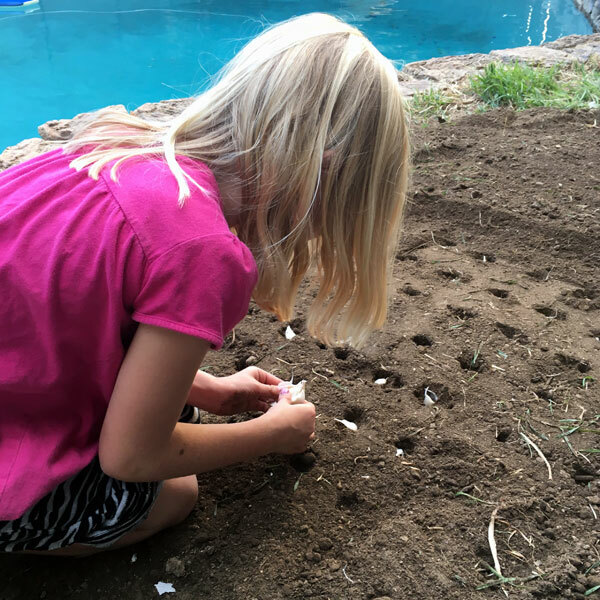 If kids help plant the seeds and grow vegetables and fruit, they’re much more likely to eat them. 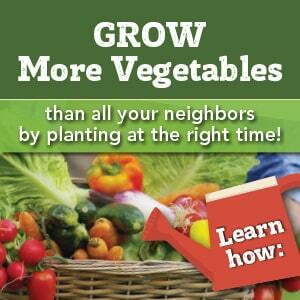 You can grow vegetables indoors, outside in containers, or even in your front or back yard. 12. Try a bit of baby spinach on your favorite sandwich instead of lettuce. Baby spinach is milder and more tender than full-size spinach. 13. Make vegetable noodles with one of these cool spiralizer gizmos. Be sure to cook your vegetable noodles for just a minute or two so they don’t get mushy. 14. 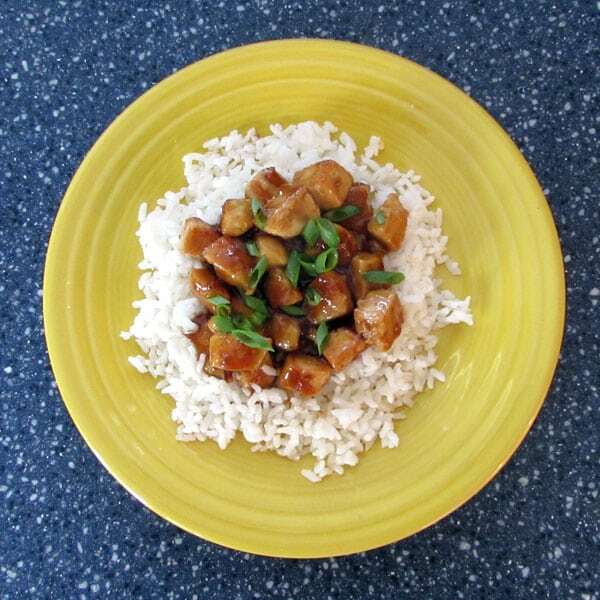 When you’re serving rice with a stir-fry, include cooked, riced cauliflower with the rice. Just mix it in and serve it without batting an eye. I’ll bet you that nobody will notice (especially if you’ve made homemade honey-garlic chicken sauce). 15. Instead of a starchy side dish like noodles or pasta, make a second vegetable side dish. Pro tip: just about anything tastes better with cheese sauce on it. 16. Roasting vegetables is easy and brings out their natural sweetness. Carrots, cauliflower, broccoli, parsnips, and sweet potatoes are all great choices for roasting. 17. It’s always more fun to eat with your fingers. 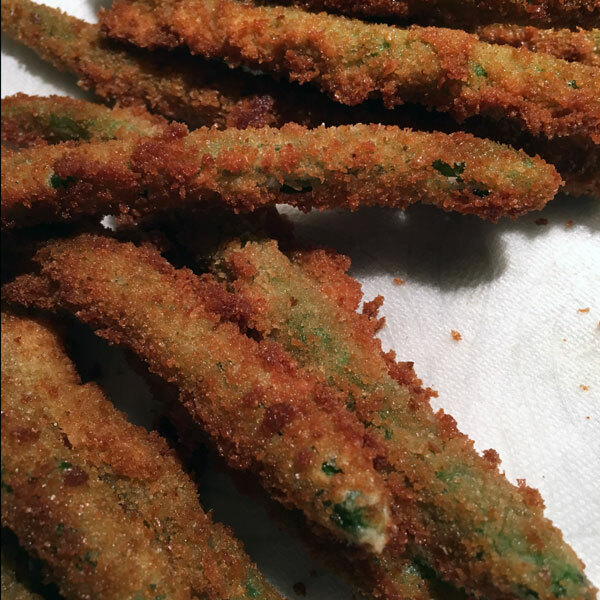 Try making zucchini or broccoli fritters, or carrot or green bean fries. 18. Sauce is your friend. If you’re making sloppy joes or tacos (with this super-awesome seasoning mix, of course), then add shredded carrots or zucchini as you’re browning the meat. The sauce will camouflage the veggies and no one will be the wiser. 19. Saute shredded zucchini and add the cooked squash into hamburgers or meatballs. If you’re afraid that someone will see the green color and question your culinary motives, peel the zucchini so it’s easier to hide. 20. Make lettuce or chard wraps. This is sort of like an Asian burrito with a lettuce/chard shell instead of a tortilla. Cook the protein and veggies of your choice with a splash of soy sauce and sesame oil. Then everybody scoops a bit of the filling into their lettuce or chard and eats it like a taco. 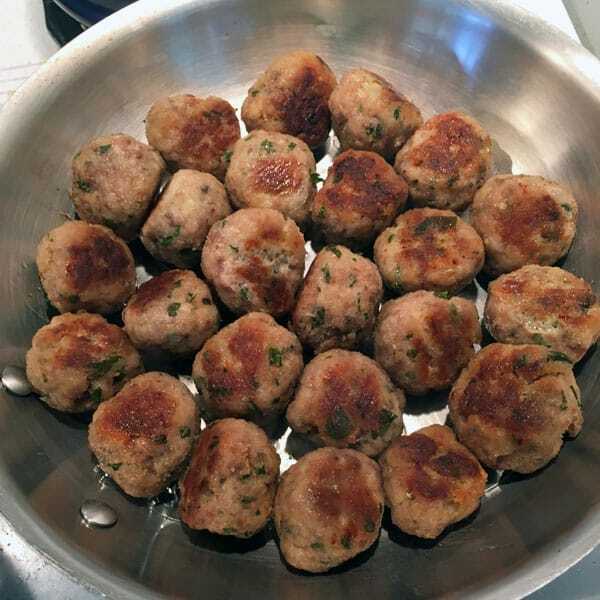 I got this great recipe from one of my favorite cookbooks: Family Feasts for $75 a Week. 21. Believe it or not—you can sneak vegetables into brownies. I haven’t tried this myself, but you can make brownies with black beans, with spinach, or with sweet potatoes. Don’t forget old favorites like zucchini bread or pumpkin bread too. What are your favorite ways to get your family to eat more vegetables?